Copper is the new brass. As you may or may not know, most of my posts relate to home furnishings and decor. However, my first DIY love was jewelry (dating all the way back to a time I dare not admit). 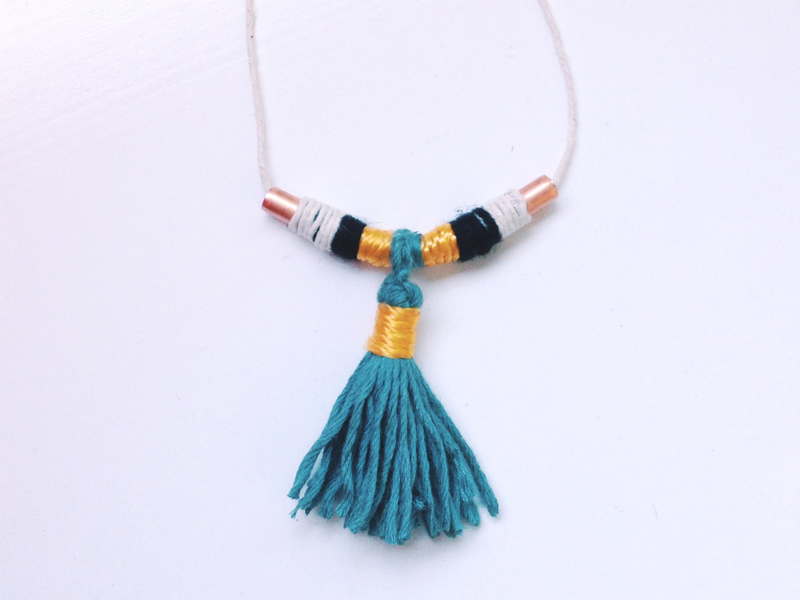 I’ve been hoarding yarn and copper tubing lately because of my myriad of weaving and wall hanging projects, so I thought I’d pull a throwback Thursday and make a necklace with some leftovers since I believe in a minimal crafting waste policy. 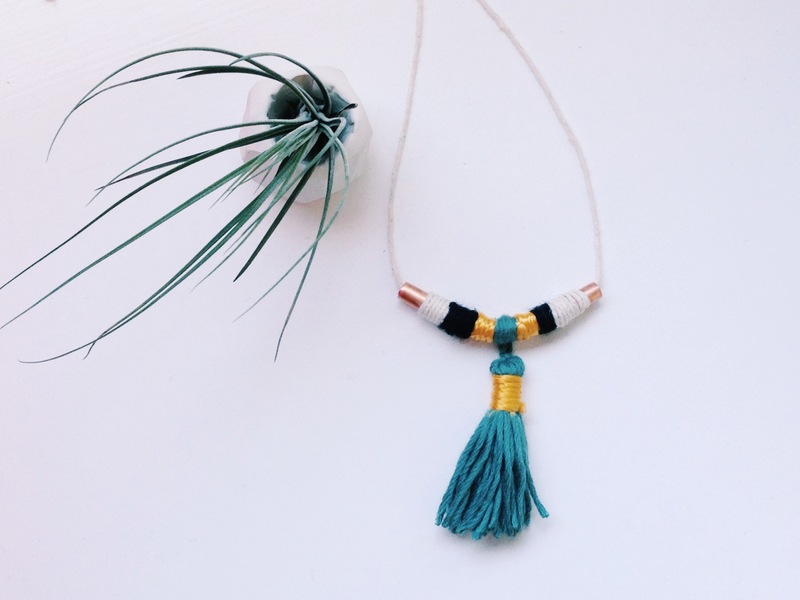 Tassels are HUGE right now in both home decor and fashion. I’m also majorly crushing on copper. Brass and gold still hold a special place in my heart, but I definitely get shivers from the sight of any rose-toned metal. Penny for this thought! Yarn, twine, string in an assortment of colors. 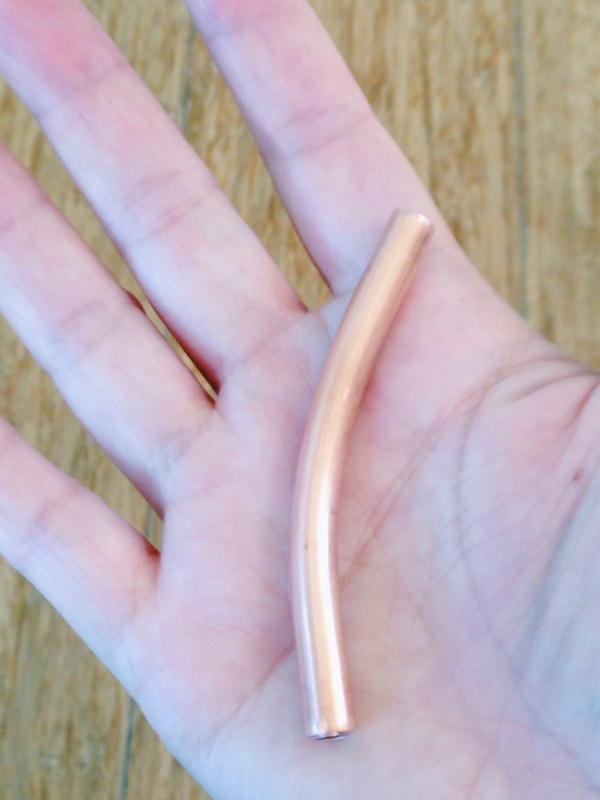 I first bent the piece of copper with my hands into a slight curve. It’s not that hard (if my 105 lbs can do it, you can too). 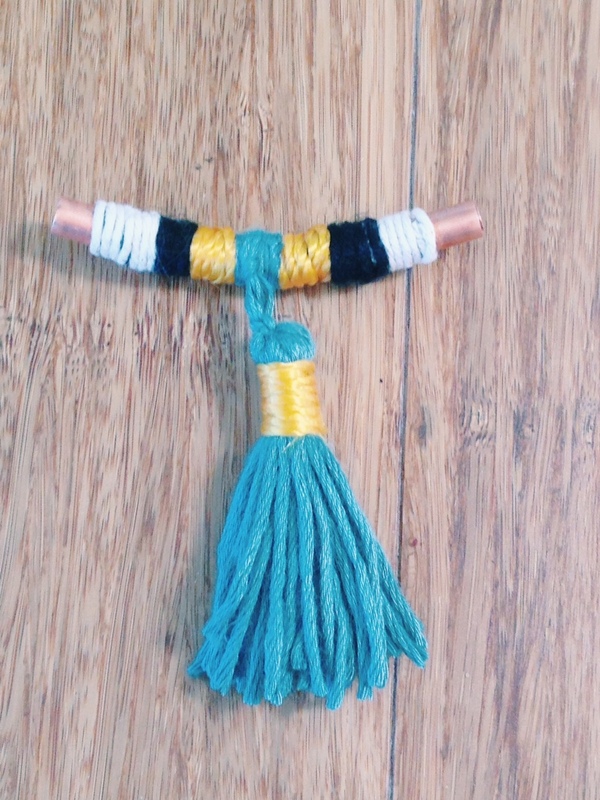 I then made my tassel. I wrapped the yarn around my hand about 20 times, slipped it off my hand, and tied a knot to secure the top in place. I then trimmed the other edge. 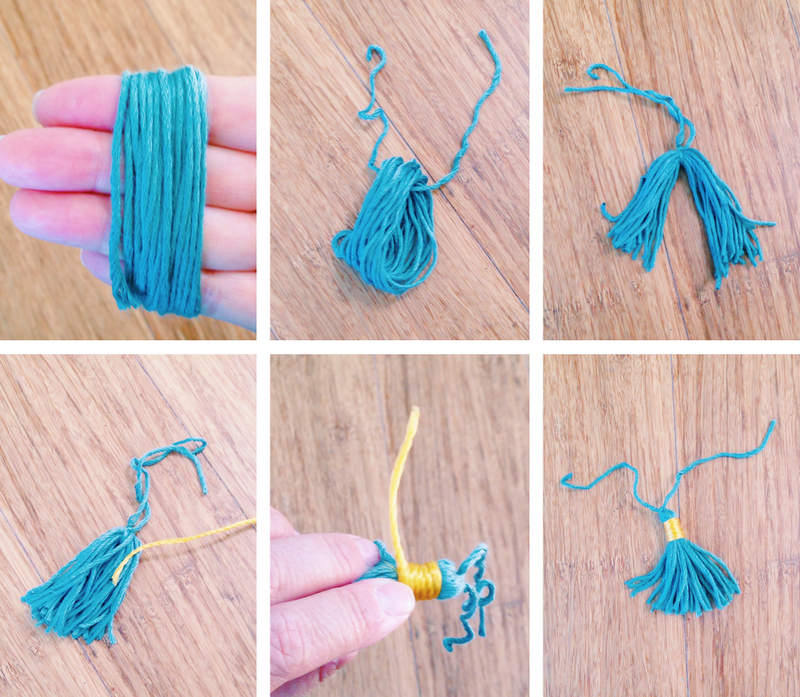 Using my yellow twine, I wrapped the top part of the tassel about 6 times. I secured it with super glue. Next, I started wrapping the yarn around the copper tube. My photos didn’t turn out well because I was juggling too many things at once and it didn’t make for good photo taking. So I’ll try to explain it thoroughly. Please keep in mind that I’m a novice wrapper. Expert wrappers will probably give a different and likely better method. 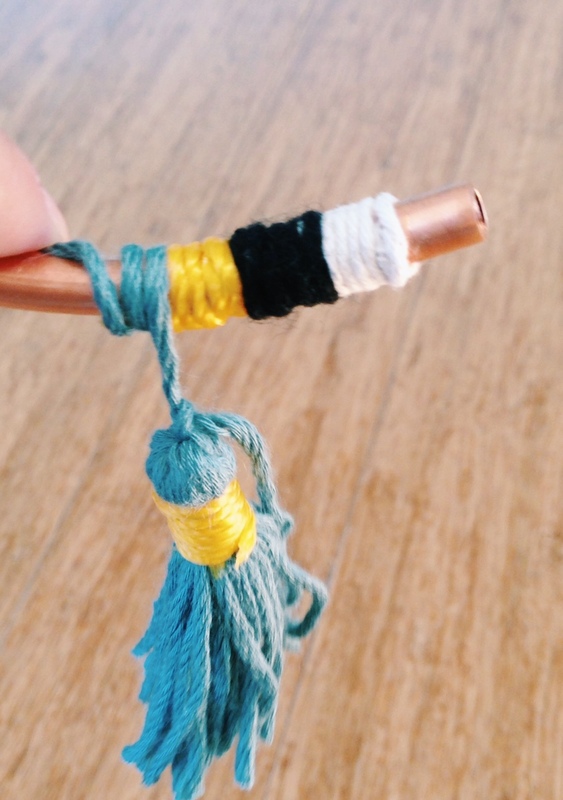 Superglue your first color of string to the edge of the copper tubing. Wrap around the tube for as far as you’d like to go. I wrapped white twine about 5 times around. Glue the end and cut. When you’re ready for the next color, place the tip of the new color horizontally along the tube. Wrap around the tip to cover the end and keep going for the desired length. Repeat with new color. When you get to the middle, it’s time to wrap the tassel. Using the 2 strands of yarn used to secure the top of the tassel, wrap around the middle of the tube and secure with superglue. 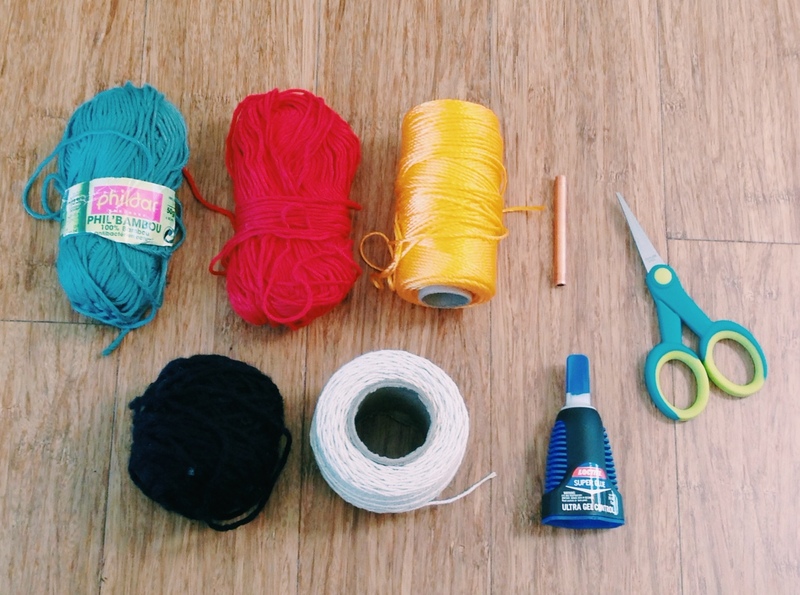 Wrap the remaining yarn/string and secure with superglue. String the twine/string of your choice through the tube and tie a knot. I realize I should actually wear the necklace and take a photo but for some reason, I have a phobia of posting photos of myself on my blog. You’ll just have to trust me when I say that it looks fab. Especially against a black top. Jewelry making was my first craft love too! I still have a giant box of beads and tools that are reminiscent of my ten year old self. It still comes in handy though. This necklace is so cute! 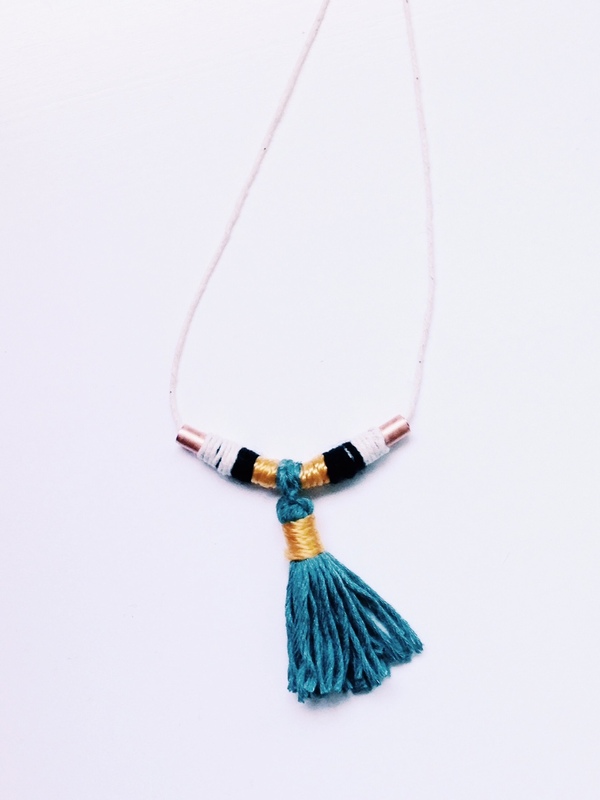 A fun combo with the copper and tassle.